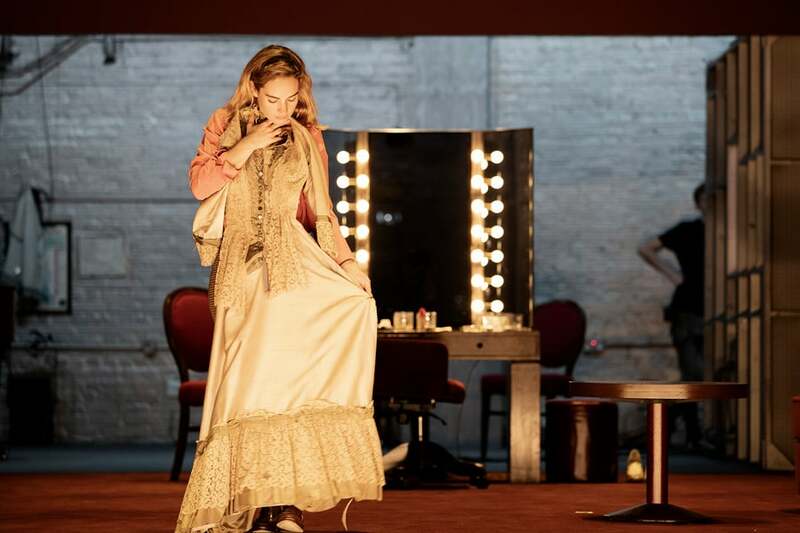 First production images have been released from Ivo Van Hove’s new adaptation of All About Eve starring Gillian Anderson and Lily James at London’s Noel Coward Theatre. 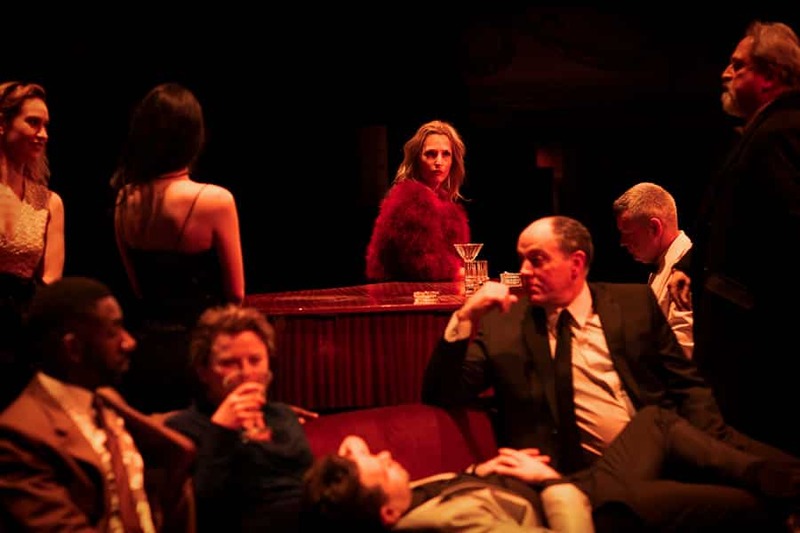 Enjoy Jan Versweyveld’s first look production images from All About Eve which is now in previews at the Noel Coward Theatre. This new production sees Emmy Award-winner Gillian Anderson as she returns to the stage alongside Lily James in the titular role. BAFTA Award-winner Monica Dolan will play Karen alongside Ian Drysdale as Max Fabian, Tsion Habte as Phoebe, Jessie Mei Li as Claudia Casswell, Julian Ovenden as Bill, Sheila Reid as Birdie, Rhashan Stoneas Lloyd, Stanley Townsend as Addison DeWitt and Pianist Philip Voyzey. Ivo van Hove’s direction is accompanied by set and lighting design from JanVersweyveld, costume design by An D’Huys and music from double Mercury Prize-winning recording artist PJ Harvey, alongside Tom Gibbons’ sound design. Casting is by Julia Horan CDG. Performances run from 2nd February at the West End’s Noël Coward Theatre. Now booking to 10 May 2019. 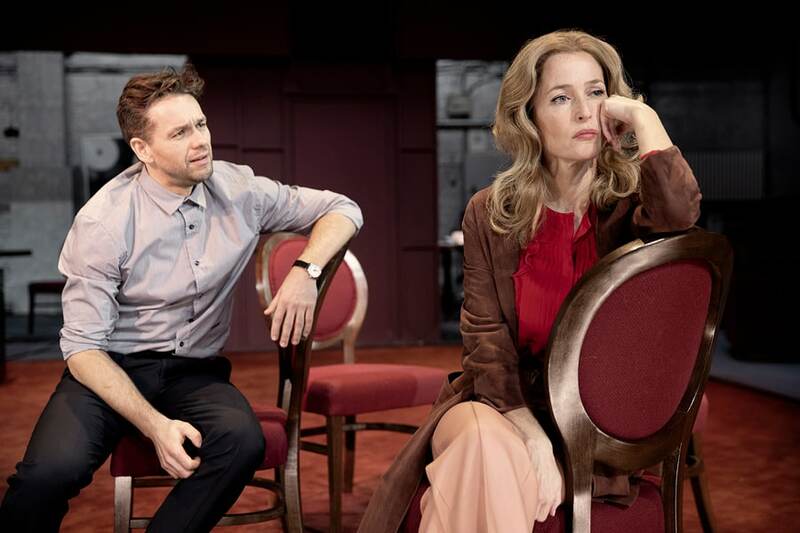 Julian Ovenden and Gillian Anderson in All About Eve. Lily James in All About Eve. The cast of All About Eve.